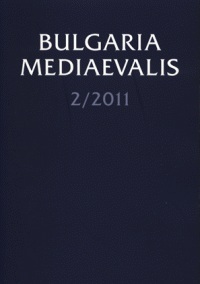 In the light of a proposal on behalf of the Advisory Board members, the present second volume of Bulgaria Mediaevalis celebrates the 75th anniversary of Professor Vassil Gjuzelev, whose major role in the the organization, direction and successful carrying out of the 22nd International Congress of Byzantine Studies in Sofia, having taken place from 22nd to 27th of August 2011, is not simply undisputable, but is also hugely acclaimed. Throughout his over half a century-long outstanding academic and scientific activity he implemented useful and prolific work consecrated to the advancement of the Byzantine Studies on both domestic and international soil. 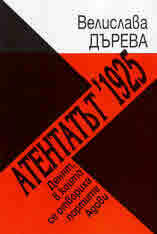 The number of the events and initiatives which he has inspired and arranged is difficult to measure. A series of periodides and symposia have been issued thanks to his efforts or under his guidance in the proceedings. His erudition, rigorous scholarship and devotion to Medieval Studies together with his never-ending willingness to assists others in their research have marked his entire professional life making him an inspiration to several generations of historians. 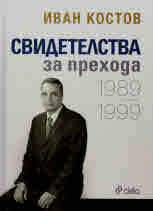 The invitation of writing papers in Professor Vassil Gjuzelev's honour has been responded to by 50 byzantinists and medievalists from 13 countries (including Austria, Bulgaria, France, Germany, Greece, Hungary, Iceland, Italy, Poland, Romania, Switzerland, the UK, and the USA). Their scientific contributions, covering a broad range of topics, have been grouped into two principal sections - Fontes and Studia. It is with great delight to be announced that in their vast majority, they correspond with the subject areas relevant to the honorees research fields of study. Wie viele Volker sind in einem Volk? 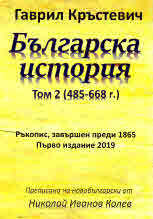 Bulgarian contribution to the economics and culture of the Byzantine Empire.